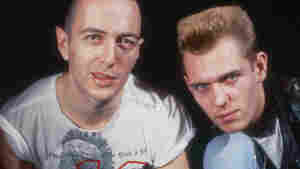 February 7, 2018  To commemorate International Clash Day, NPR revisits a 1981 archival interview with Joe Strummer and Paul Simonon. February 22, 2007  British singer Lily Allen writes infectious, bouncing pop music with wickedly biting lyrics. Lily Allen chats with All Songs Considered host Bob Boilen and shares some of her favorite music. October 5, 2004  Guitarist, actor and author Guy Davis; A radio tale from bluesman Dave Alvin; Seattle singer/songwriter Laura Veirs; Bach cantatas from Lorraine Lieberson and more. August 6, 2015  The prolific musician joins Alt.Latino to discuss her life and times with Tijuana No! and Julieta Venegas, as well as her solo career. 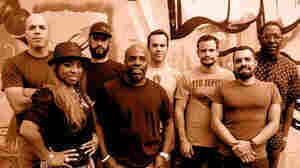 July 2, 2015  On Alt.Latino, the band spins music and discusses mixing electronic beats with Afro-Peruvian folk. October 11, 2013  The group's surviving members visit WXPN's studios to discuss the development and evolution of their image. The former bandmates also discuss the recent release of Sound System, a 12-disc box set. December 20, 2012  They were called "the only band that matters." In the late 1970s and early '80s, The Clash pioneered punk rock — then went on to expand its possibilities in witty songs that critiqued the world. Strummer, the group's lead singer and songwriter, died 10 years ago this week. July 14, 2007  The Clash was sometimes called "the only band that mattered." They mashed reggae, R&B, and rockabilly into classic three-chord punk rock. 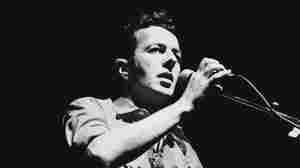 Chris Salewicz's Redemption Song: The Ballad of Joe Strummer offers an extensive biography into the band's enigmatic frontman. November 12, 2003  The posthumous album from Joe Strummer, a leader of The Clash, reflects many elements of his career, with a mix of rock and reggae influences. 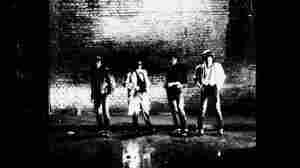 Strummer died last December at age 50, and members of his final band, the Mescaleros, helped to finish Streetcore. Chris Nickson has a review. 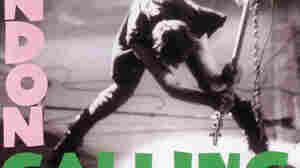 Rock historian Ed Ward continues his look at "The Clash"
June 30, 2000  Rock historian Ed Ward continues his look at "The Clash." 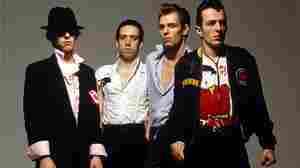 June 29, 2000  Rock historian Ed Ward begins his two-part series on the British punk band, "The Clash." You've Never Heard 'London Calling'?! February 11, 2011  It's hard to imagine what it was like to hear groundbreaking albums for the first time, when they were released 30 or 40 years ago. In this recurring series, we try to capture that wide-eyed awe by having our interns review some of the classics they've never heard before.